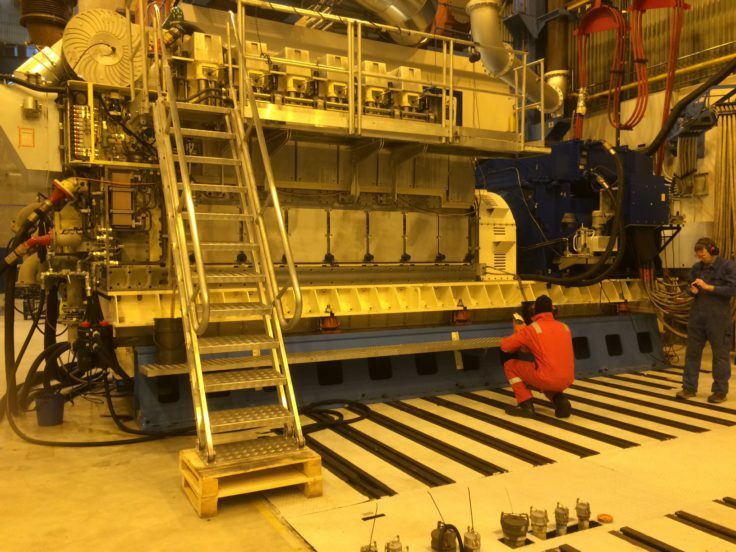 The last of the vessel’s Bergen B33:45 engines /gensets have been craned into the ship’s hull ready to be connected to the RRS Sir David Attenborough’s Rolls-Royce propulsion system. The nine cylinder engines were carefully installed in three separate pieces. The first part of the nine cylinder engine to be craned into place was its double resilient foundation. This huge specialised rigid welded skid, which sits on rubber noise dampers, is an integral part of the vessel’s low underwater radiated noise design. The foundation is followed by the engine itself and then the alternators. The Bergen B33:45, which comprises of two nine and two six cylinder engines, provide both mechanical propulsion and electric power generation. The engines, together with the unique Rolls-Royce hull shape design, will allow the RRS Sir David Attenborough to cut through the ice, pushing it away and under the ice sheet being crossed. 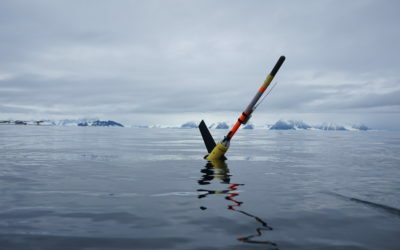 This enables the vessel to break ice to a thickness of 1.5 metres at a minimum speed of 3 knots. The engines run on low sulphur fuel, have good fuel efficiency down to very low loads and are fitted with a Selective Catalytic Reduction (SCR) system and an electronic engine management system with an integrated control unit. This monitors and controls all key engine functions and exhaust after treatment. 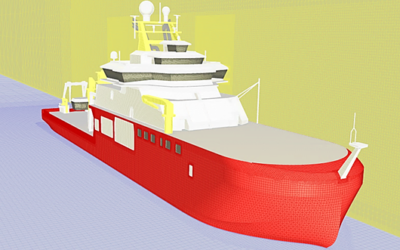 One of the most stringent design requirements for the vessel was very low levels of underwater radiated noise to allow the undertaking of underwater survey work. The RRS Sir David Attenborough has been commissioned by the UK’s Natural Environment Research Council (NERC) for operation by the British Antarctic Survey (BAS).This £200 million Government investment secures the UK’s position as a world leader in polar research and provides a major boost to shipbuilding in the North West. When it enters service in 2019, the ship will carry out oceanographic and other scientific work in both the Antarctic and Arctic as well as transporting supplies to Antarctic research stations. The project is the biggest commercial shipbuilding contract currently underway in Britain and one of the biggest for more than a generation.